The Slickster, calm, but ready. Relaxed, yet focused. He has become, The Kung Fu Monk, both at peace and ready for war! 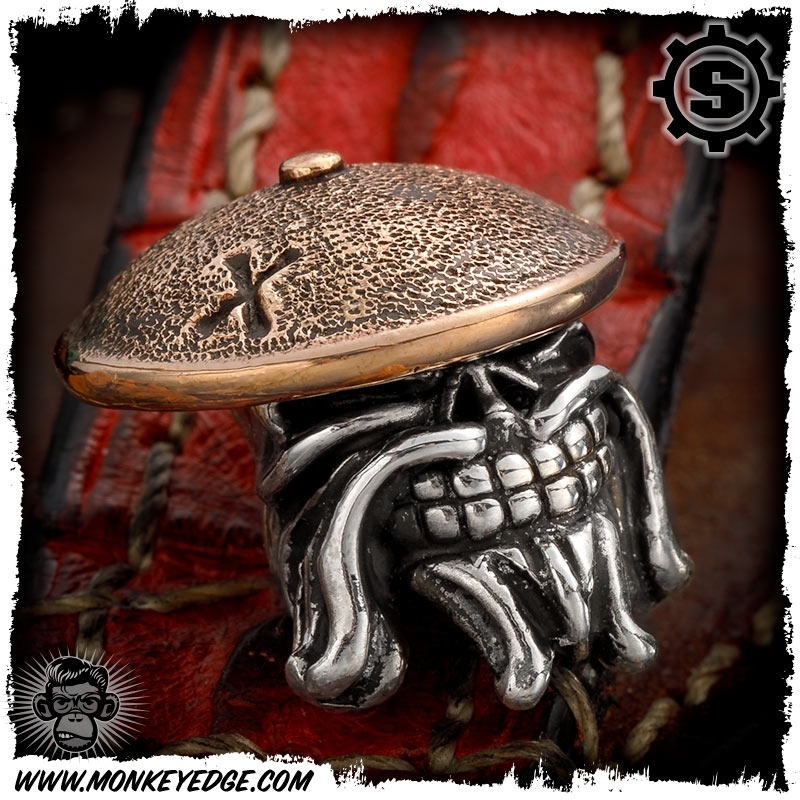 Silver skull with copper coolie hat featuring hand textured blackened patina finish and X stamp. 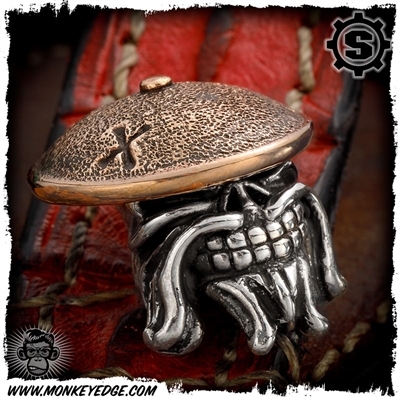 Made exclusively for USN Gathering X.